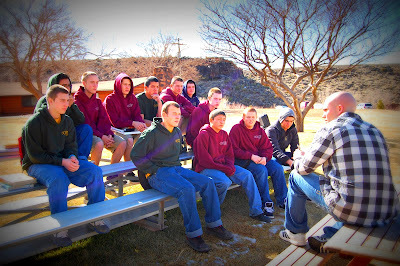 Diamond Ranch Academy | Lava Falls Campus: They're Back!!! Today was a big day for a few of the students on the boys campus, as the mentor dorm was reinstated and students were selected to be in the mentor dorm! Ricky, Travis, and Brigham held a meeting and discussed with the boys what it means to be a mentor and why they were selected as such. All of the students that were selected were given the opportunity to decline the position..... but all accepted! These boys were selected to help mentor students in the dorms and in school groups who are struggling.We are very proud of our students and the changes they are making at Diamond Ranch. Here's a few pics of the mentors...unfortunately not all of the Mentors were present for the pics as some are on home visits. 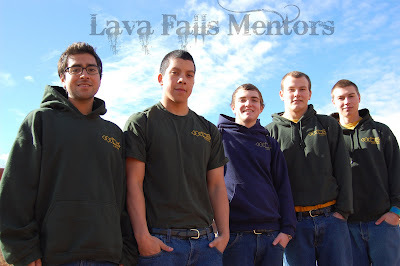 From Left to Right: Omair, Chris, Ben, Daniel, Eric "Thor"